MOV Buildings > Uncategorized > New 2017 Products! We are excited to announce that we are now offering a new siding selection for all of our styles of barns, sheds, garages, cabins, and tiny homes. 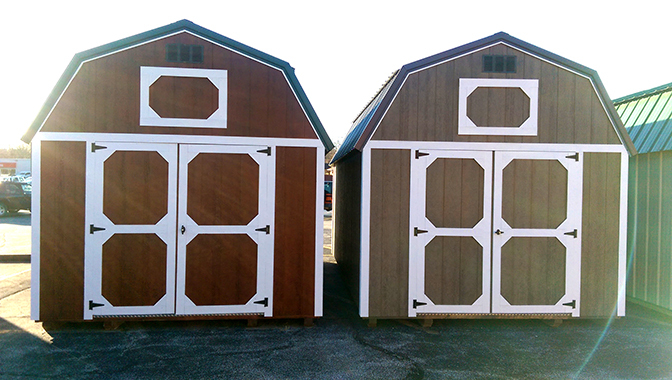 You can now choose to have your building built with urethane stained, pre-engineered wood siding. The siding itself is the same as what we use to construct our Painted Buildings, but due to lower material costs, we are able to offer the Urethane Buildings at the same price as our regular Pressure Treated Wood Buildings. If you have any questions regarding our new Urethane Buildings, or would like for us to give you a quote on a custom built building for your own individual needs, please contact us!